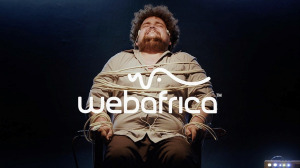 The latest campaign for Webafrica, conceptualised by the Jupiter Drawing Room Cape Town (Jupiter CT), shows Webafrica's mascot being electrocuted for almost three minutes. "The Internet is a made of every demographic imaginable — every group, every niche, every massive collective. Within this collective, we are all still humans and humans have certain quirks of interest, certain things that appeal to our base instincts. Most people love animals — just look at all the puppy and cat videos. People are self-obsessed and celebrity-obsessed. Social media shows us this every day. Just look at Kim, Khloe, Kourtney, Kendyll, and Kylie. If you recognise any of these names, you'll know what I'm talking about." Lucas van Vuuren, executive creative director at Jupiter CT, says the latest Webafrica campaign leaned straight into another Internet insight: humans bizarrely like to see people in pain. 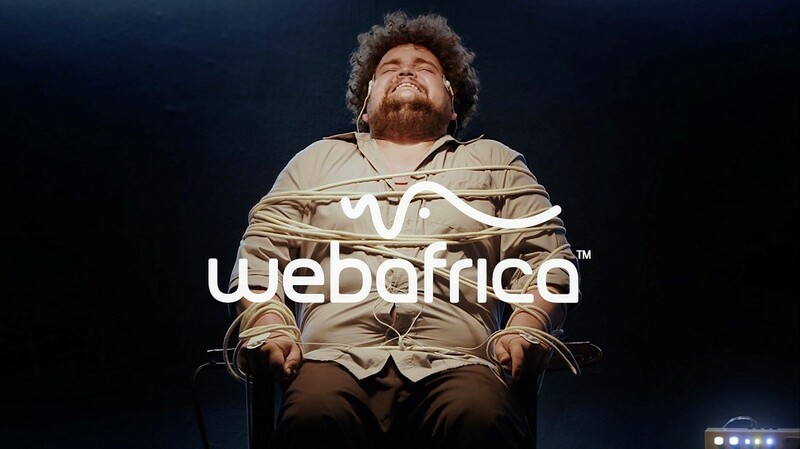 "For our latest campaign with Webafrica, we decided to run with this ‘pain’ insight, so we decided to up the pain with a pre-roll ad that tortures our brand mascot, Will, to get a secret out of him," says van Vuuren. "The ad shows Will being electrocuted for almost three minutes. In this time, he confesses everything you ever wanted to know ... and even things you didn't want to know," van Vuuren adds. The ad went live on Friday, 1 March and, so far, the data shows that most people watch the video up until the point where Will stops being tortured at one minute and 56 seconds. "At the same point that the torturing stops, the interest drops. This is fascinating, but not surprising if you look at the amount of fail videos, car crashes, beheadings and all the other bad or awkward stuff on the Internet, and the amount of views and attention they get," van Vuuren says. Two years ago, Jupiter CT produced another Webafrica ad that was designed for Youtube. The agency ‘played around’ with the fact that viewers could skip the Youtube ad after the five-second countdown. "We counterintuitively made our ad almost three minutes long and all it showed was our brand mascot skipping and waiting for — no, actually begging — the viewer to push the skip button," van Vuuren adds. "The audience seemed to enjoy the fact that this poor guy was skipping and getting more and more tired as the ad went on. It seemed the viewer enjoyed seeing this man suffer — there’s that ‘pain’ thing again. The average viewing time for this pre-roll ad was one minute 24 seconds, and we now know that people are slightly sadistic," concludes van Vuuren. For more information, visit, www.thejupiterdrawingroom.com or www.webafrica.co.za.